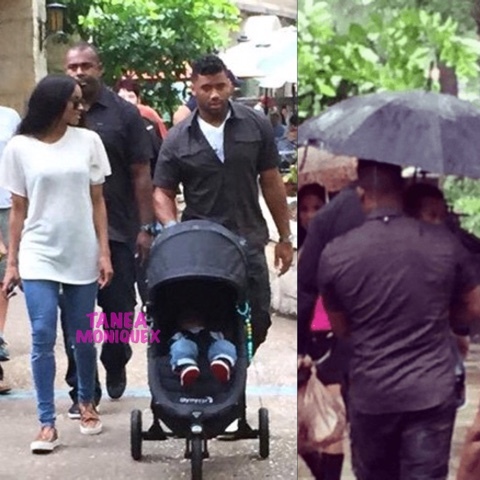 Back in May of 2015 Russell was spotted pushing baby Future in his stroller as he and Cici strolled along the River Walk in San Antanio. When the picture first hit the scene many believed Ciara was moving a little too fast and it seems Future agrees. 'You don't do that in our community! You don't even bring a man around your son. You don't even know this dude but a few months and you bringing him around your kid? Who does that?," he said. "You let them people catch that photo ... At the end of the day, I'm not for the publicity stunts. Leave my son out of the publicity stunts. Just leave him out of your relationship."